1977 saw the release of a small science fiction film about how the terrorists won. That film was Star Wars and this post is to justify the first sentence of this post! This post can also be seen as a companion to this post I did about a similar subject. Let’s start this off with quite a famous quote from Gerald Seymour. This it to set the scene and will give you a good starting point. It is quite hard to define what a terrorist is; especially in this case. So what does terrorism, and terrorists, have to do with Star Wars? Quite a lot actually. It all hinges around Luke Skywalker and what the government, The Empire, does to his adoptive parents. That was done in the attempt to recover stolen plans that went via the terrorist leader, Princess Leia Organa, who was trying to get them to her, adoptive, farther on Alderaan. The film itself is a story of radicalisation of a boy into an ancient, illegal, religion. 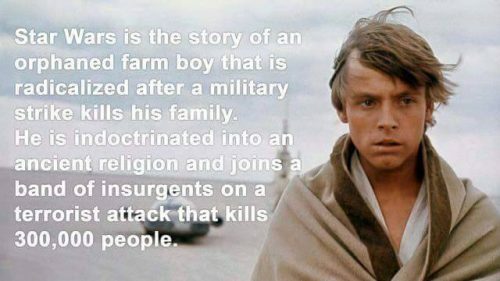 This path to radicalisation started when his adoptive parents were killed by Stormtroopers whilst trying to find a pair of droids that they believed contains the stolen plans of the Death Star. After his radicalisation by an old soldier he then goes on to become a vital member in the terrorist organization called The Rebel Alliance. With this radicalisation in The Force, he then goes on to destroy the Death Star and kill its crew. 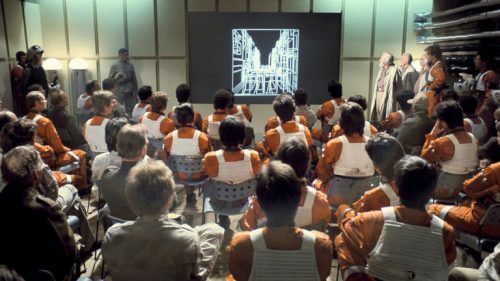 There are also a small band of Conspiracy theorists that believe that the destruction of the Death Star wasn’t an act of terrorism but a way that The Empire could bring in a large number of policies to bolster their point on the war against the terrorists. 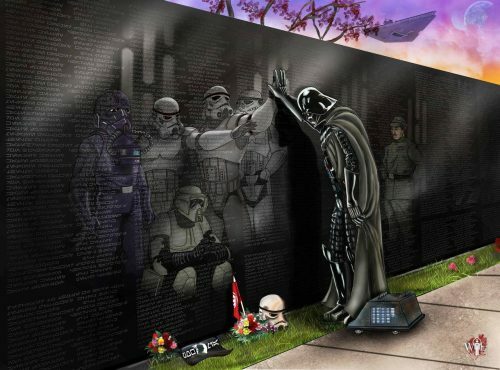 This does make you question that establish facts of what happened to the Death Star!